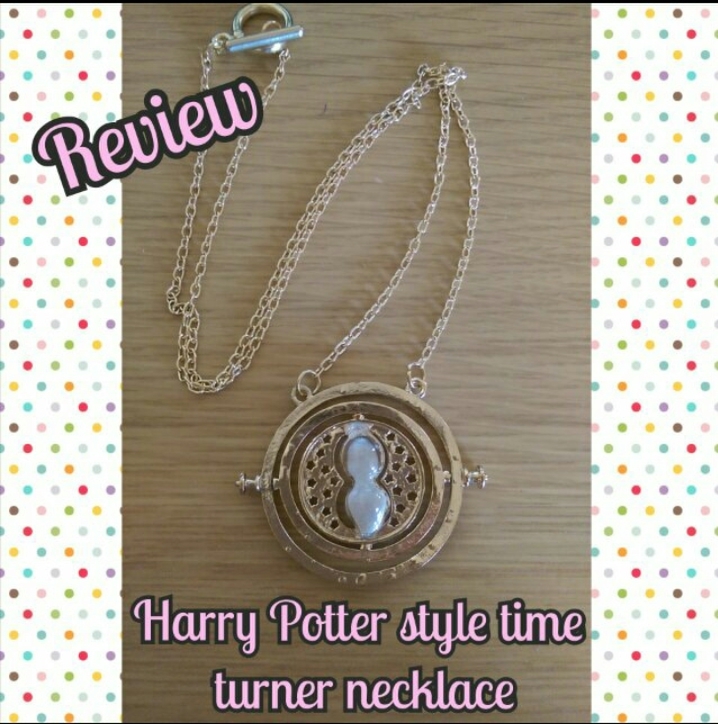 This is a gold plated necklace with a toggle fasten – which I love! It is also quite chunky so wont be easily broken. 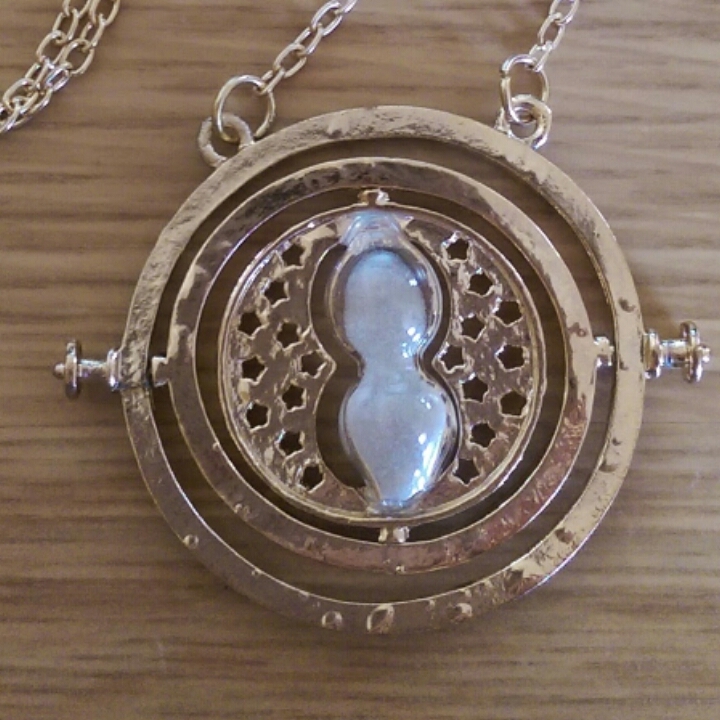 The time turner part has several bubbles on the plating, that I am not sure if it should be like that or not but I does make it look “old” so otherwise I am happy with that – though if it is a design flaw might need to check quality control. You can just make out what I am meaning in the pic below. The mini hourglass in the middle work, if a little fast and I love how the the outside rings move and offer no resistance. The engraving around the rings is cute, though they are engraved at different angles (upside down to the other) so you can read it one way you need to move it about to read the rest. 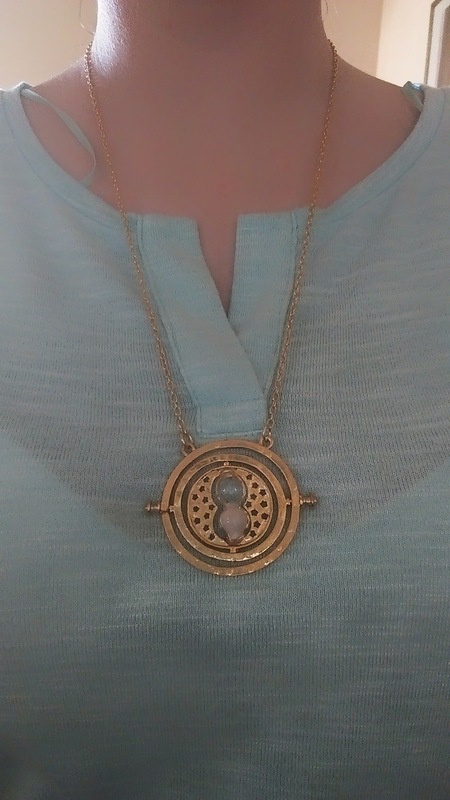 I absolutely love this and have worn it several times now, and whilst I am not a die hard Harry Potter far this is a much for those that are. 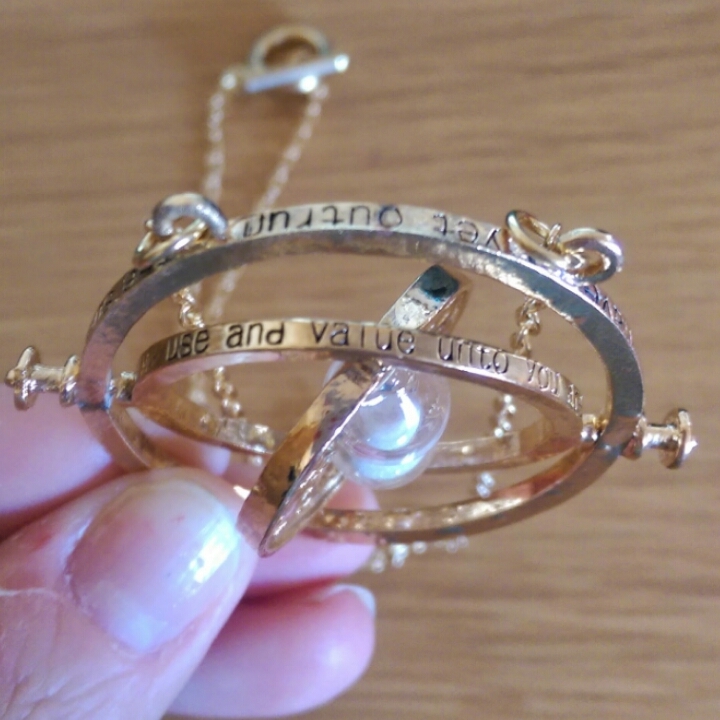 It is a pretty good quality replica of the one Hermione Granger uses in the movies. It is a pretty good length and for the price it is definitely worth it.